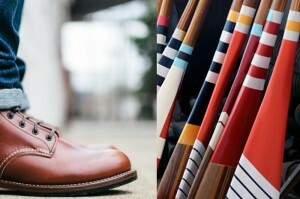 Northern Grade’s goods range from Red Wing heritage boots (left) to handsome Sanborn Canoe paddles. Yes, like everyone else the MIA has a copy of Robert Doisneau’s famously romantic Le Baiser du Trottoir (The Kiss on the Sidewalk) photograph, from 1950, better known as “that picture where the hot French guy is smooching a girl outside a cafe.” A lot of us had that picture in our dorm rooms when we were trying to figure out who we wanted to become, because this image (which was more or less staged) embodies not just the kind of impetuous romance we longed for but also stylish self-actualization: I look how I act. Admirable alacrity, nice scarf. Style and lifestyle are one. 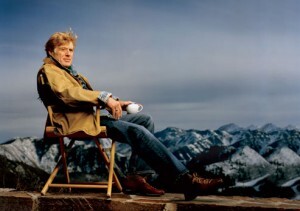 Robert Redford, the epitome of bridging style and lifestyle, looking like he visited a Rocky Mountains version of Northern Grade. The current six-week Northern Grade showcase at the MIA resurrects such ideals with its mix of distinctive American-made goods for your home, office, and person, raising the question of how exactly, somewhere between 1950 and today, style became separated from lifestyle. 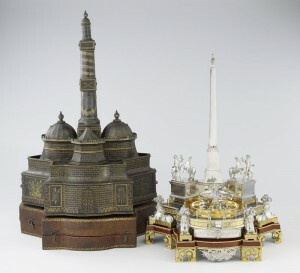 The Coaci Inkstand, on view in gallery G310, is the ultimate in lifestyle goods for the office circa 1792. The horse tamers swing out with the press of a lever, revealing an inkwell and sander. Pull a lever under the fountain and the two doves kiss. Writing was never so much fun. We’re not the same, so why do we dress the same—the same shirts from the Gap, the same shoes from DSW? Moreover, why do our homes look the same, filled with the same blankets, towels, tableware, and all the rest? Mass production, perhaps, which kicked in after the war and made decent-quality clothes and home goods available to almost everyone—so long as you didn’t mind blending in (think of those 1950s men in identical grey suits and fedoras waiting for the train). Now this embodies a certain lifestyle. 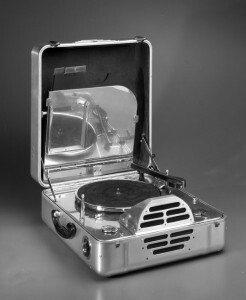 Bring this Art Deco RCA Victor Special portable phonograph (on view in gallery 379) to a holiday party with your favorite 78 foxtrot record. Stand under some mistletoe. Enjoy. Or maybe we’ve just become cheap. You could outfit your home and yourself at Northern Grade with Red Wing boots, a few Faribault Woolen Mill blankets, a raft of Field Notes notebooks and a Mother Freedom jacket—or you could buy a gently used Corolla. But plenty of people with plenty of money aren’t choosing to express themselves this way. 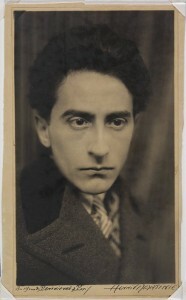 Jean Cocteau, the author, playwright, and style icon, in a photo from the MIA collection, wearing a kind of Crombie coat, a striped necktie, and a pensive expression. Probably thinking about a great pair of shoes. You only need to look through the MIA collection to appreciate the once-honored value of distinctive design, from ink stands to record players to cars. Sure, these weren’t things your dad or granddad owned—that’s why they’re in a museum. But they do serve as enviable reminders that self-expression has long supported self-actualization. That the line between your inner world and the material world fades a little when you’re surrounded by things that express yourself—you have manifested some seamless version of your ideals. That you are what you wear, that clothes do indeed make the man, and that naked people, as Twain supposedly said, have little or no influence in society. Get the complete package at Northern Grade @ MIA, or at least put on a scarf.